21 locations, 524 artists, including 524 artists, including 34 companies attending the REf for the first time, 160 days of activities including the summer preview of the festival, 46 events dedicated to contemporary creative arts, 24 of which on show in Italy for the first time ever, for a total of more than 40,000 tickets on sale: these are the stats for the 31st edition of the Romaeuropa Festival, this year entitled “Be elsewhere“, that will be animating 20 spaces in the capital from 21 September to 3 December. Fabrizio Grifasi, General and Art Director of the Romaeuropa Foundation led by Monique Veaute, explained that the title is ‘an invitation to accompany us in exploring the feelings and discoveries of art, as well as a reference to the Festival’s responsibility in choosing the limits and the features of this ‘artistic elsewhere’. In recent editions, Romaeuropa has become increasingly popular with numerous visitors to its multi-disciplinary itineraries that include music, theatre, dance, contemporary circus, visual arts and new technology. The support from the Ministry of Cultural Heritage and Tourism, the Special Superintendence for the Colosseum and the archaeological centre of Rome, Roma Capitale, the Lazio Regional Government and the Rome Chambers of Commerce has been fundamental for the festival’s development, along with the valuable support of the Fondazione Terzo Pilastro – Italia e Mediterraneo promoting Romaeuropa’s activities and Mediterranean artists, and that of RAI television, offering the festival new opportunities to reach a wider audience through its channels. After 20 years, the Romaeuropa Festival will be back this summer – from 24 June to 18 September – with a preview of the Patrimonio e Creazione (Heritage and Creativity) project conducted together with the Superintendence for the central archaeological area in Rome, presented by Minister Dario Franceschini on 28 April. The preview will include the Par tibi, Roma, nihil exhibition designed by Monique Veaute and curated by Raffaella Frascarelli, President of the Nomas Foundation, and Palamede, La Storia by Alessandro Baricco, both held in the Palatine Archaeological Area. The REf16 will be officially opened on 21 September by Hofesh Schechter, one of the most renowned international choreographers, at the Teatro Argentina during the first of the events held together with the Teatro di Roma – the Italian debut of barbarians, a fast-paced work divided into three chapters on the intimacy, passion and banality of love. It will be followed by some of the most important names on the European and international art scene: Forced Entertainment with Shakespeare’s 36 works all packed into 8 days of 50 minute long shows, Guy Cassiers with the actors from the Toneelhuis in Antwerp and the Toneelgroep in Amsterdam directed by Ivo Van Hove in a reinterpretation of the novel Le Benevole by Jonathan Littell; Les 7 doigts de la main, with their blend of dance and contemporary circus, and Ben Frost in Music for Solaris, a musical project developed together with Brian Eno and Danìel Bjarnason from the famous Solaris by Andrej Tarkovskij, performed by the Accademia Nazionale di Santa Cecilia Orchestra. In a dialogue between choreography and music, we have the work proposed by Emio Greco and Pieter C. Scholten as Franck Krawczyk and the dancers from the Ballet National de Marseille perform St Matthew’s Passion by Bach; Anne Teresa De Keersmaeker‘s exchange with Steve Reich in Rain (2001); and Wim Vandekeybus‘s restaging of his In Spite of Wishing and Wanting (1999) to the original soundtrack by David Byrne. These two shows, in addition to ORESTEA (una commedia organica? ), an old show by Societas brought back to the stage by Romeo Castellucci nearly 21 years later, form an ideal trilogy of events showcasing the “history” of contemporary. The relationship between creation and new technology comes to the fore at La Pelanda with the 3D Water Matrix, a gigantic robotic machine that sculpts a fountain of water, controlled for Digitalife by its original designer Shiro Takatani and sculptor Christian Partos, and with the high tech GARR network used in Il Ratto di Europa by Giorgio Barberio Corsetti to link the Aula Ottagonale in the Baths of Diocletian, Palazzo Altemps, the Colosseum and INFN Frascati. The show is part of the Patrimonio e Creazione project. The same project also includes a series of contemporary music events designed to dialogue with the capital’s historical monuments: Alvin Curran, who will be centre stage at both the lake in the Villa Borghese park with the Scuola Popolare di Musica di Testaccio band, and at the historical residence of the Accademia di Francia a Roma in Villa Medici; Sabina Meyer at Villa Farnesina, the suggestive home to the Accademia dei Lincei; and Lucia Ronchetti in Aula X at the Baths of Diocletian, with the Accademia Nazionale di Santa Cecilia choir directed by Ciro Visco. The Santa Cecilia orchestra, on the other hand, will be performing Senza Sangue by Peter Eötvös, based on the novel of the same name by Alessandro Baricco. The industrial architectural setting of La Pelanda will be hosting the contemporary music of Tempo Reale Electroacoustic Ensemble by Sylvano Bussotti and Alessandra Celletti, with visual artist Onze, Dark Circus musical animation by the French group STEREOPTIK and the soundtrack to the Hitchcock film Blackmail from the Edison Studio collective, which is also promoting the international Sounds of Silences competition dedicated to musical composition for the moving image, supported by the Italian Society for Authors and Publishers (SIAE), the Cineteca di Bologna (Bologna Film Archive) and Romaeuropa Festival. The awards ceremony will be held at the Casa del Jazz. The dialogue between music and images continues with Colapesce, an exchange with the documentaries by Vittorio De Seta, and with talented pianist Chassol, both of which will be on stage at the Monk Club. The club will also be hosting the reinterpretation of the best-known pieces by Tom Waits, performed by Canadian group L’orchestre d’hommes-orchestres, and the rancheros of Chavela Vargas, interpreted by Dimartino and Fabrizio Cammarata. Another Italian voice is that of Raiz, leader of the Almamegretta, who will be appearing at the Teatro Vascello with composer Yotam Haber and the LCP Ensemble directed by Daniele Del Monaco, in an exploration of ancient Hebrew melodies entitled New Ghetto Songs and co-produced with Nuova Consonanza. 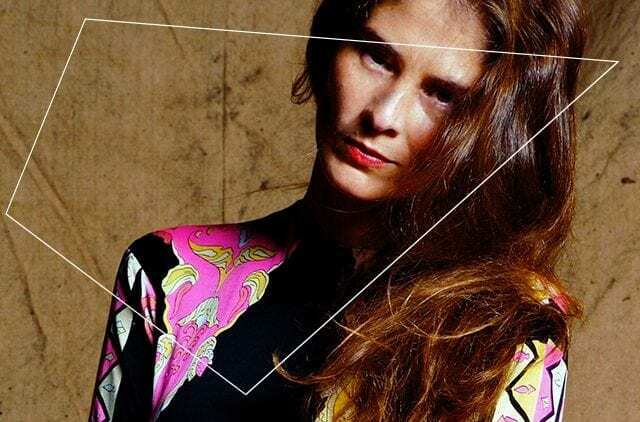 German duo incite/ and Soundwall, a magazine that is a reference point in the Italian electronic music scene, will be holding events dedicated to club culture. REf16 will be paying particular attention to new names in international dance: Sharon Eyal, who will be attending the Festival for the first time with Gay Behar, Ori Lichtik and their L-E-V Company; Noé Soulier and American Liz Santoro together with Pierre Godard will be performing their respective shows that walk the line between science, theory and the power of performing arts. Olandiamo focuses on new Dutch dance, starring Nicole Beutler, Ann van Den Broek and Jan Martens, while the new edition of DNA, directed this year by Francesco Manica, will be putting the all-female project by C&C Company on the stage, with solos by Marion Alzieu, Ayala Frenkel, Chiara Taviani and, in network with Aerowaves, shows by Christos Papadopoulos, Lalì Ayguadè, Yasmine Hugonnet and Italian Lara Russo, winner of the 2015 DNAppunti coreografici. The prize will be held again for REf16. From the compositions for the body to the new dramas written with Daria Deflorian – Antonio Tagliarini, on stage at the Teatro India with the national premier of Il cielo non è un fondale and Acqua di Colonia, and the debut show by Timpano & Frosini at the Teatro Quarticciolo. At the Accademia di Francia – as part of the I giovedì della Villa – Questions d’art series – Lina Prosa will be presenting Pentesilea. More events with new technology, visual and performing arts with shows by Adrien M & Claire B, by visionary Pierre Rigal and the transdisciplinary collective fuse*. 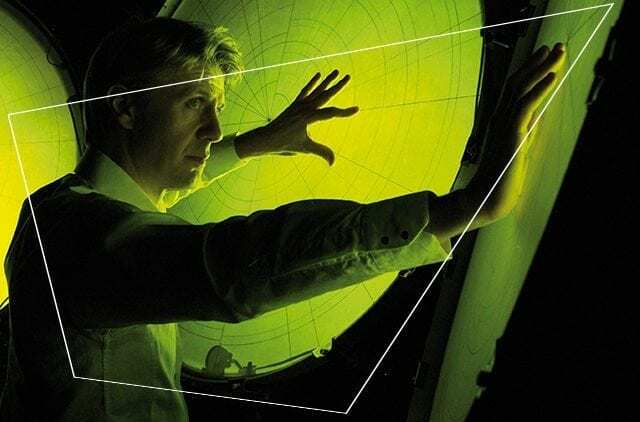 The CRM – Centro Ricerche Musicali (Music research centre) with José Miguel Fernández, Alexander Vert, Michelangelo Lupone, Philippe Spiesser, and Thomas Koppel will be presenting the GeKiPe and SkinAct electronic sound manipulation instruments. Once again at La Pelanda, the seventh edition of Digitalife, the exhibition dedicated to the interaction between visual arts and new technology curated by Richard Castelli (who also curated the 2010 edition) will be presenting ZEE by Kurt Henstschläger, the site-specific installation Deep Dream_ActII by NONE, as well as the 3D Water Matrix mentioned above with the works by Takatani and Partos. The series of works will be completed by the Understanding the Other project by the PERCRO lab from the Scuola Superiore Sant’Anna, which is celebrating 25 years of experimentation and research this year. Romaeuropa is also an opportunity to meet and interact with the artists. 13 projects will be dedicated to the public, including: Post It (by Matteo Antonaci), Music Inside (by Nuova Consonanza) and the 11 InFormazione projects led by Lara Mastrantonio: Destinazione Scuola, Spring Roll, Antenne, Domino, Iridico, Teatro e Critica Lab, Let’s Dance, DNA Visioni, Warming Up, IN DRAMA, Romaeuropa Al Vivo. 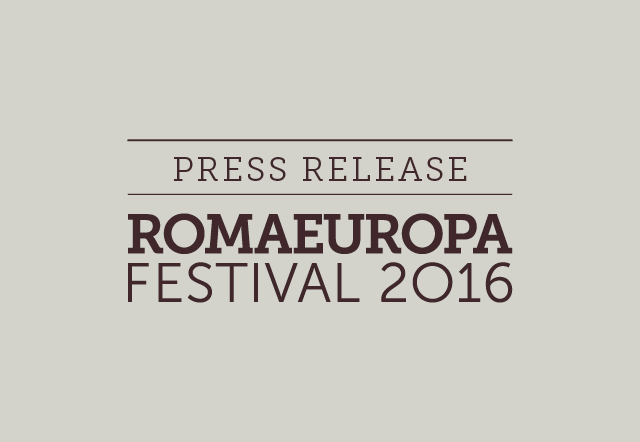 The Romaeuropa Festival 2016 is produced by the Fondazione Romaeuropa, and has been made possible by an important network of Italian and European, public and private sector supporters who include the Capitoline Superintendence for Cultural Heritage, the Fonds Podium Kunsten Performing Arts Fund NL, the Embassy of the Kingdom of the Netherlands, Theatron and RAI; institutions such as the Teatro di Roma, as main theatre partner, the Accademia Nazionale di Santa Cecilia, the MACRO – Museo d’Arte Contemporanea di Roma, the international cultural institutions such as the Québec Delegation in Rome, the Nuovi Mecenati Foundation, the Institut Français, the Embassy of Spain, the Goethe-Institut, the British Council, the Embassy of Israel in Rome, the Prohelvetia Swiss Arts Council, the Aerowaves and The Littell Project projects, both co-financed by the European Union as part of the Creative Europe programme. 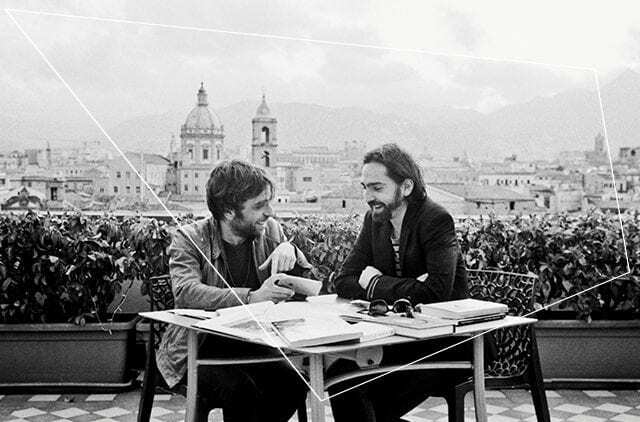 The festival is also produced in collaboration with the Nomas Foundation, ATCL, MAXXI, the Accademia di Francia in Rome – Villa Medici, PERCRO S. Anna, Nuova Consonanza and Seminaria Sogninterra, in addition to IED, Teatro Azione, Teatro e Critica, Dynamis Teatro and media partners RAI Cultura, RAI3, RAINews24, RAI Radio 2, RAI Radio 3, and Deezer. REf16 events will be hosted in: the Palatine Archaeological Area, the Stadium of Domitian – Palatine, the Aula Ottagonale and Aula X at the Baths of Diocletian, Crypta Balbi, Palazzo Altemps; MACRO Testaccio – La Pelanda, Villa Medici, Villa Borghese and Villa Farnesina; the Casa del Jazz and the Monk Club, the INFN – Istituto nazionale di Fisica Nucleare (National Institute of Nuclear Physics), the Opificio Romaeuropa, the Auditorium Conciliazione, the Auditorium Parco della Musica and Teatro Argentina, Teatro India, Teatro Vascello, Teatro Biblioteca Quarticciolo, as well as activities held at the offices of the Lazio Regional Government.